This is a love story set in the steppes of Central Asia of today. 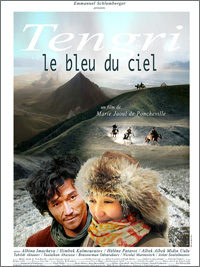 Temür a thirty year old Kazakh decides to start life again in his ancestral village in the Kyrghyz Mountains. He discovers soon after his arrival that he is a misfit in this settlement of old conservative Islamic men,some women and children. The only ray of hope for him is Amira a young married woman who waits in frustration for her absentee husband - a Mujahideen. Temur watches sorrowfully as the individual village stories unfold at the same as he tries to help the community out in any way he can. In this way he comes closer to Amira and Taib, her young brother-in-law. In a dead end situation the lovers decide to leave the settlement and travel to a place that would hold out with their dreams.